Everyone is fascinated by the “new kid on the block.” As much as we may try to deny it, we are captivated by anything novel. Sure it may take time to notice, however eventually curiosity always gets the better of us and we make it our goal to discover the next big thing. In the last ten years, Lancaster has become a mecca for the arts scene; multiple galleries, music, and theater have energized this historical city, breathing colorful life into the downtown and surrounding areas. And, like any “neighborhood”, a “new kid” has moved in and not too far from Lancaster’s city center. The “kid’s” story goes a little something like this: Two native New Yorkers (Mitch and Diana Nugent) decide to put roots down right here in Lancaster County. After working for several of the area’s professional theatres, they felt inspired to create a company that provided our city with fresh, forward-thinking performing arts and PRiMA Theatre Company was born. Great friends always seem to be first on the checklist for the “kid” when moving to a new area and fortunately theatre folk tend to be mighty welcoming. The talent and staff of American Music Theatre have shown their appreciation for the Nugent’s theatre company by cheerleading, offering support, and participating in PRiMA productions. Beginning with small cabarets at the Prince Street Café in 2010, PRiMA has blossomed into the fastest growing non-profit theatre company in the region. 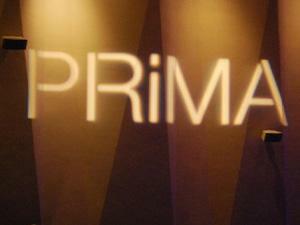 The 2011 season saw a move to the Ware Center (smack in the middle of downtown on Prince Street), where PRiMA continued to dazzle, adding energetic musical compilations (Glee, anyone?) as well as achingly beautiful main stage productions in Steinman Hall, such as Chess in Concert. All of this could not be achieved without the steady support of longtime friends and those who love music and performance art enough to have faith in Lancaster’s new kid. PRiMA performances aim to speak today’s cultural language and to enrich the lives of its audience members. It’s incredible performance art that is remarkably enjoyable and entertaining while wagging its finger at the status quo. Welcome to fresh performing arts in Lancaster. Welcome to PRiMA. Steph B. is a full-time stylist at Plum Salon and Spa, a part time blogger extraordinaire for PRiMA Theatre Company. Check out more of her zany musings at primatheatre.com.